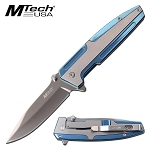 Mtech USA sleek design assisted opening knife. 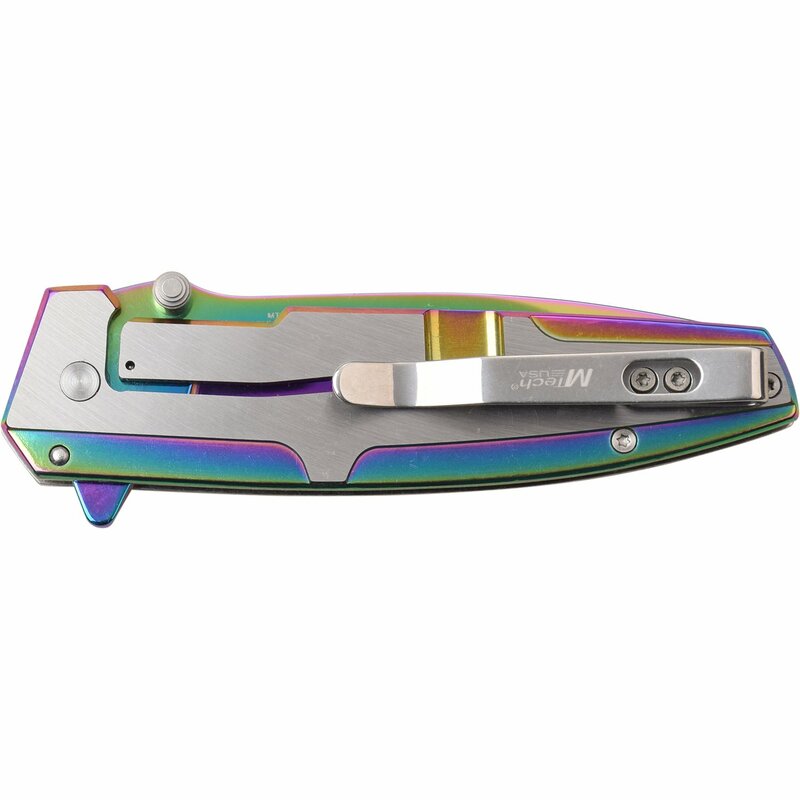 This EDC pocket knife is 8.25 inches open length. 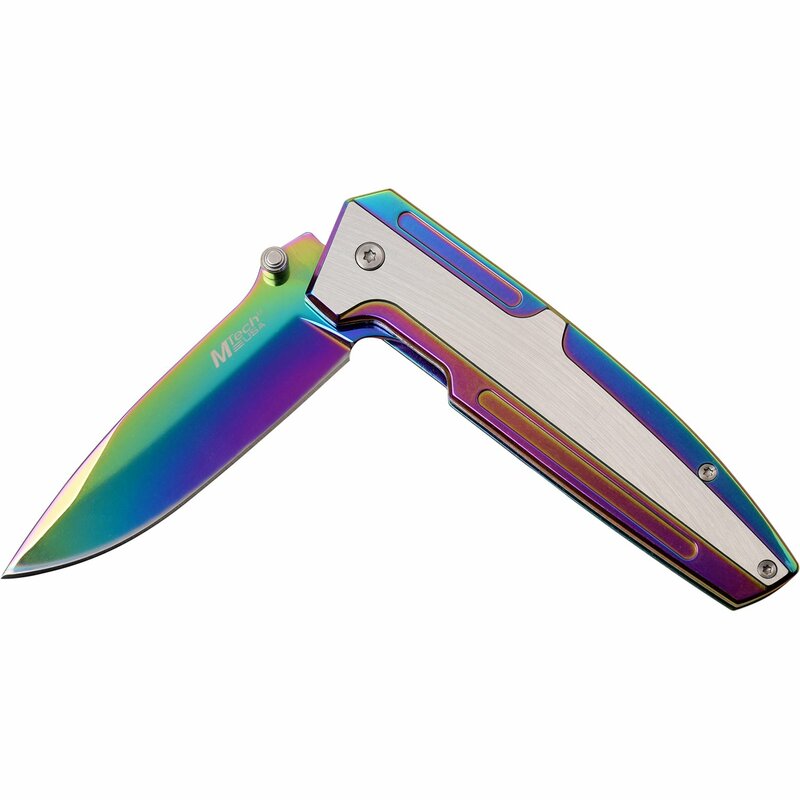 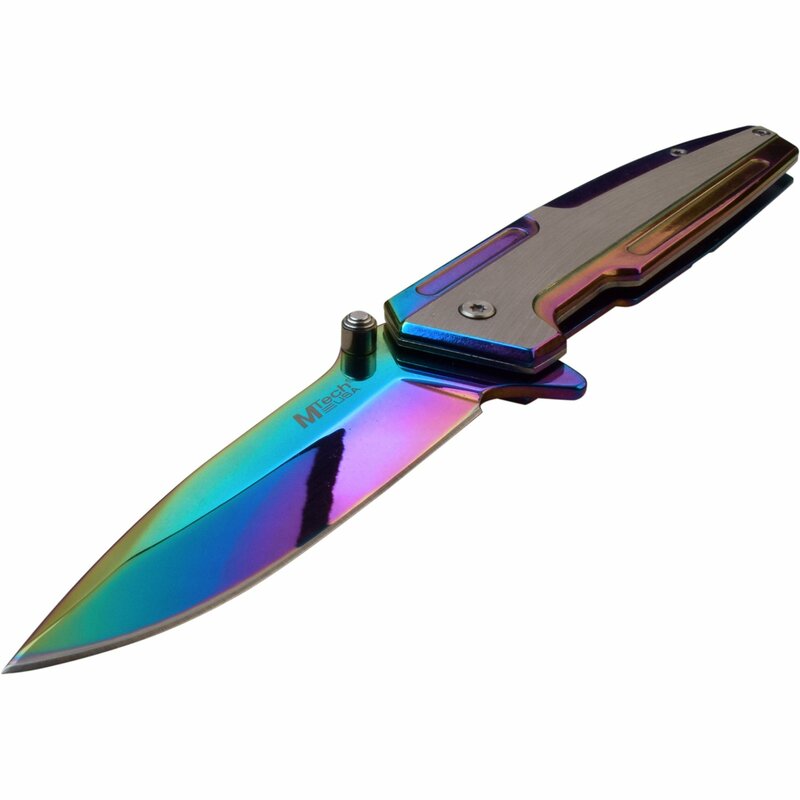 The blade is constructed from 3cr13 stainless steel polished rainbow color. 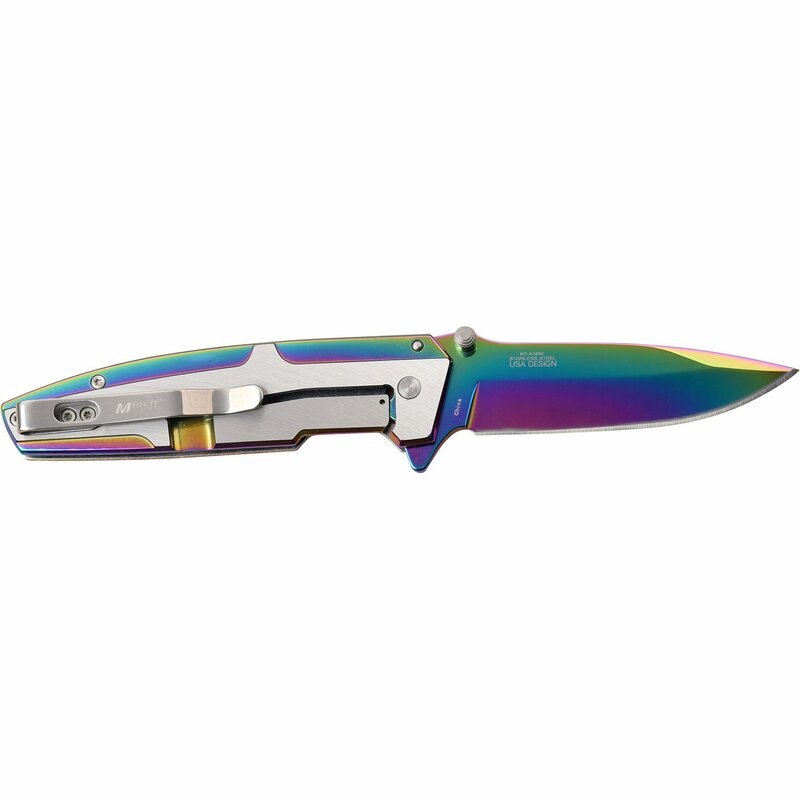 Two tone stainless steel and rainbow tinite handle is 4.75 inches long for a comfortable grip.